Galerie Besson closed in June 2011. 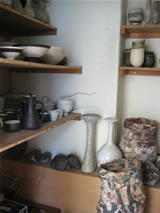 The rest of the website continues to act as an archive of past exhibitions and ceramic artists. Please refer to the menu on the left.